Runtime 6 Hrs. 29 Min. I’ve read this book several times over the years and love it every time. The storyline is great, the characters have chemistry and it’s written really well. It’s my favorite book by Sarah Eden. Totally recommend it. Sarah Eden is one of my all time favorite authors. Not only does she write clean romance, but she writes it very well. Her characters are flawed human beings with plenty of challenges making them easy to relate to, but they also have the values and character traits to keep going even when life is really hard. I think one of the things that I especially enjoyed about this one, (besides reading about the Jonquil brothers again) was the way the characters dealt with some painful secrets. Secrets can be so destructive and they definitely play a major role in the story; secrets between family members, secrets between employer and employee. These secrets cause major problems in the relationships between the different characters. 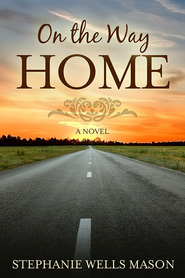 And yet despite the painful secrets, it's also sweet to see the difference that one person can make in the lives of others, in this case, Marion arrives at Layton Jonquil's home and quickly realizes that it's not a happy place. But with her own natural optimism and tender stories she finds a way beyond her own painful memories to help Layton and his daughter find healing and peace. A beautiful love story, but not just romantic love, also parental love, brotherly love, and the way that love helps bring healing. Drops of Gold is another Sarah M. Eden masterpiece. It is a thoroughly enjoyable read that I would have finished in one sitting if my body didn’t insist on sleeping at night. I liked both Layton and Marion. Layton is a good father to Caroline as far as he is able through his grief and struggle, but not a particularly friendly person, even with his brothers. When faced with a very difficult situation, Marion doesn’t hesitate to do what is necessary to get by with as much dignity as she can. Despite her desperate and lonely circumstances, she retains a cheerful disposition and doesn’t hesitate to show love and understanding to others whenever possible. I liked Marion’s stories and the glimpses into her history and character they provided. Caroline is cute, if a bit mature for a four-year-old, though as an only child in that time period it is entirely plausible that she could have been comparatively more articulate and mature than the four-year-olds I know. I loved how everything in the story played out, especially the ending. I felt for Marion, stranded between two worlds, belonging neither above nor below stairs. Layton was torn between preventing his staff from isolating Marion even more if he showed her any favoritism and his daughter’s desire to include Marion in events that, as governess, she really shouldn’t be participating in, especially because he found that he wanted Marion included as well. My heart broke for Marion as I learned her story, and for Layton’s as well, once the truth of his situation was discovered. I love reading about the Jonquil brothers and can’t wait to read about more of them, specifically Corbin. I enjoyed seeing Philip and Sorrel from Friends and Foes again. Drops of Gold is one of my favorites of Sarah’s books, which is saying a lot because I love all of them. I know when I want to read a good, clean, well-written romance that I can pick up anything by Sarah Eden and be happily satisfied. For those of you who have read Sarah’s books, I’m preaching to the choir. If you haven’t read any of Sarah’s books, what are you waiting for? 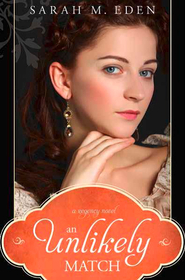 A good, clean Regency Romance! This book was a Regency-era twist on Charlotte Bronte's Gothic novel "Jane Eyre", at least that's what it seemed like to me. I love Jane Eyre. So, it was a good book, but didn't seem completely original. But she's a pretty good writer, so I enjoyed it. This is book 2 in the Jonquil series and definitely more serious than in first. Layton, a widower and father of a four year old, has carried a heavy burden for several years now. The lively Marion(Mary Wood) is now a governess to a four year old, Miss Caroline and is hiding a secret. Characters are interesting and well rounded. I enjoyed re-visiting the characters from Friends & Foes. My reasons for the 4 stars: romance felt rushed, when the heroine's secret was exposed it was quickly breezed over. Great fun! Layton and Marion are the perfect tortured and misunderstood characters. Little Caroline was a delight! Readers of Sarah M Eden will love catching up with yet another Jonquil brother. I LOVE Sarah Eden's writings! The girl likes the guy...but thinks the guy doesn't like her. When in fact the guy likes the girl...but thinks the girl doesn't like him. Layton, is still grieving the loss of his wife...but finds himself joyful when he is around Mary. 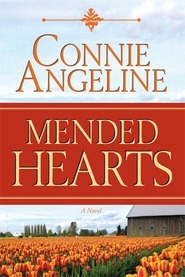 Filled with love and romance and humor-- A must read for anyone who believes in "happily ever afters." Possibly my favorite of Sarah M. Eden's books. Nicely paced and well-written, I loved both of the main characters--and especially the way their backgrounds bring so much depth to the story. The romance is engaging and believable, and I loved the relationship between Marion and the little girl. I had to smile every time I read the name Flip. Eden does a great job researching her facts, and she really brings Regency England to life in an enjoyable and accessible way. 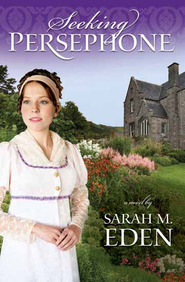 Sometimes Regency Romances try too hard to sound Austenesque, but Eden adds just enough authentic language to keep the setting real without detracting from the story. 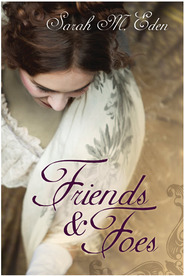 Anyone who is a fan of Jane Eyre will love this book!